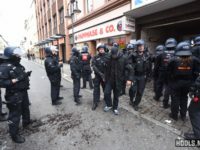 A mass brawl erupted on the streets of Berlin on Saturday ahead of the Hertha BSC vs Eintracht Frankfurt Bundesliga clash. Veracruz and Tigres UANL fans clashed at the Luis 'Pirata' Fuente stadium following their Liga MX match on Friday. Barcelona fans were attacked by a group of Alavés hooligans ahead of their La Liga clash on Saturday. Barcelona SC fans clashed among themselves in the stands during their team's game with Macará on Sunday. 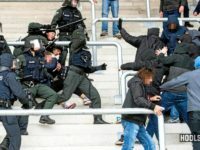 FSV Frankfurt fans clashed with cops at Steigerwaldstadion after their 3. Liga game versus RW Erfurt. A large group of Eintracht Frankfurt hooligans attacked a bar with Darmstadt fans ahead of their derby match at the Waldstadion on Sunday.